Access to a great locksmith comes with big benefits. 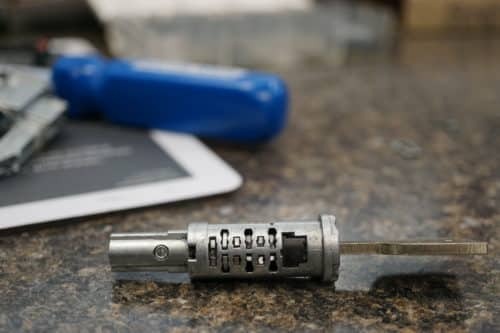 If you’ve ever locked your keys in your home, found yourself facing a malfunctioning security system, or have accidentally deactivated your corporate key card, you know just how critical it can be to have the top locksmith Fairfax VA can offer on speed dial. Instead of breaking a car window or using a credit card to get through your front door, let Pro-Keys Locksmith Service show you how it’s done. With our multitude of service options, there’s nothing we can’t do for you. Get in touch today to get the affordable help you need! Broken keys and lockouts don’t necessarily occur during normal business hours and no one knows that like we do. That’s why we’re always available, whether trouble strikes in the morning or you lose your keys at midnight. With 24/7 emergency services, our talented technicians are only a phone call away. Some locksmiths only specialize in a few types of services but our licensed, bonded, and insured team members can do it all. With decades of combined experience and a commitment to customer satisfaction, we’re pros at just about everything. From auto and residential support to access control and commercial security systems, we’ll make sure all of your bases are covered. Not all locksmiths are made equal. When you’re on the hunt for the top locksmith Fairfax VA has in store, we’re here and we’re happy to help. Please contact us today to explore what Pro-Keys Locksmith Service can do for you! Facing key troubles in your car can be a major hassle, especially when you’re trying to get home after a long day. Rather than resulting to extremes to get in your car when you’re locked out, let our locksmith team come to you. We’ll help you with even the most challenging issues, including ignition repair, replacement keys, and more. When you want to make sure your is home safe and secure, you’re in the right place. We know just what it takes to keep your property protected and we’re here around the clock if you need help. Our services are thorough, guaranteeing assistance for simple lockouts, high tech security systems, and everything in between.